Toast can be as individual as the person eating it. 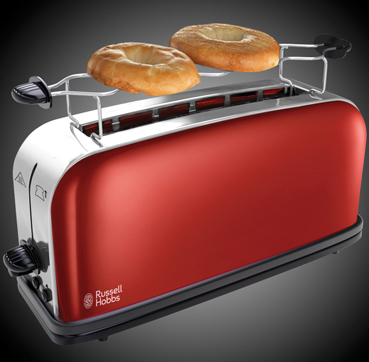 When our customers told us they couldn’t toast long bread in their standard toasters we designed toasters that could. 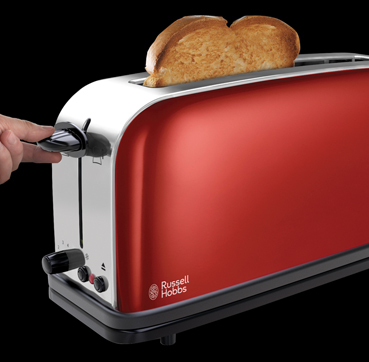 The Flame Red Long Slot Toaster is ideal for people who like to have choices. With its longer slots you don’t have to opt for standard sliced bread. Instead you can enjoy toasted bagels, baguettes and finger rolls too. This toaster is packed full of clever functions. 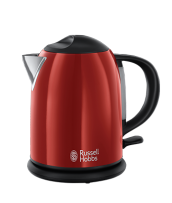 Its ‘high lift’ feature makes removing your toast safe and simple, pushing the toast up that little bit further so it’s easy to get your hands on. The Frozen Bread function allows you to toast bread straight from the freezer. It also has a bun warmer to keep your croissants and buns warm. A handy built-in crumb tray keeps your work surfaces mess free and stops bits getting everywhere. 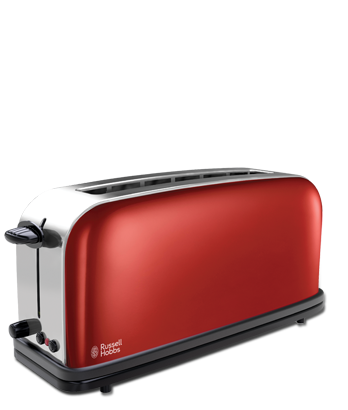 The Flame Red Long Slot Toaster has a bright, modern finish that’ll add vibrancy and glamour to both traditional and contemporary kitchens.